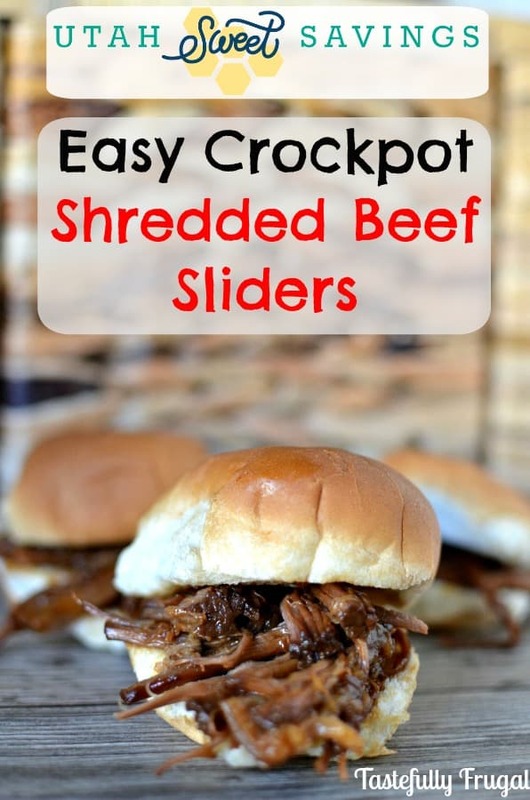 Easy crockpot dinner perfect for summer nights! We love sandwiches here! Peanut butter and jelly, grilled cheese, clubs; you name it. I especially love having sandwiches for dinner because they are quick and easy and don’t take a lot of prep time. So the other day when I found a beef roast for half price in the clearance meat section I scooped it up so I could try an old family favorite. This recipe is so easy to make and everyone loved it. Plus you can use a 2 lb roast for a small family dinner, like I did, or buy a bigger roast and make these bad boys for a party or large family get together. Either way you’re going to want to pick up some beef, buns and a Coke the next time you’re at the store! I’m over at Utah Sweet Savings sharing all the details today. These look so yummy, Sydney! Popping over to get the recipe!